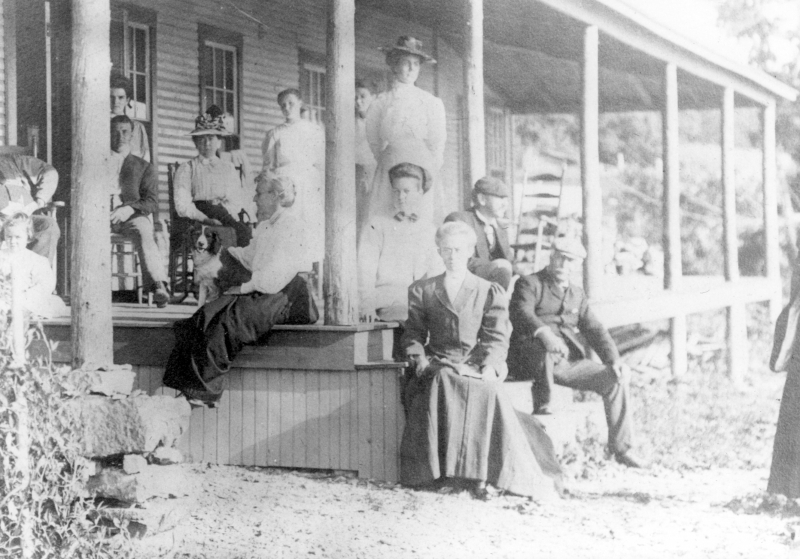 This is a black and white photograph of men, women, and children sitting on the front porch of a camp building at Camp Bluebird. The building is a large, wooden-frame structure. Shrubs are pictured on the far left side of the image. Leafy conifers and deciduous trees are pictured in the background. A dog is located on the left side of the porch amongst the people.